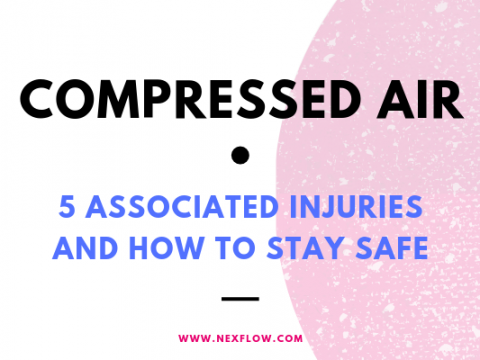 IS YOUR COMPRESSED AIR SAFE AND USED EFFICIENTLY? When some lubrication is required as well as cooling, lubricating mist volume can be reduced and cooling enhanced with the patented Mist Tool Cooler. 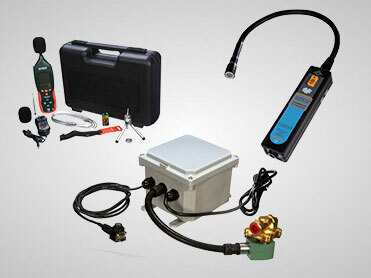 Convey, Collect, Transfer and Vent materials, gases. Korporacja Nex Flow Air Products chełpi się proaktywnością – Zawsze jeden krok do przodu! Nie rozwiązujemy jedynie problemów sprężonego powietrza, ale oferujemy klientom porady i wsparcie, tak by problemy nie występowały wcale. 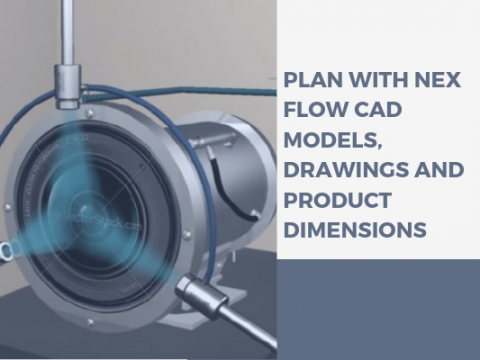 Nex Flow™ Air Nozzles and Air Jets come in various forms depending on the application. Air nozzles entrain air from around the nozzle. 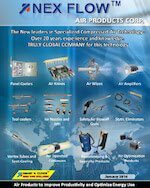 Air jets entrain air through the center of the product as well as from the surrounding atmosphere. The standard Nex Flow™ air nozzle line is of the traditional cone shape for entraining air and converting pressure into high flow, reducing compressed air consumption and noise levels. This style of nozzle is ideal for small “spot” cooling applications and well as light blow off due to high air flow amplification. The nozzles range from 5 mm to ½” in connection size. Nex Flow™ Air Mag™ Nozzle range is a patent pending engineered nozzle design that provides the highest force/air consumption ratio and ideal for a wide range of blow off applications. This nozzle range is from 4 mm to ½” at this time and will be extended to larger sizes in the near future. Nex Flow™ Air Jets are larger than nozzles and are actually small “air movers” that entrain the outside air through the center. 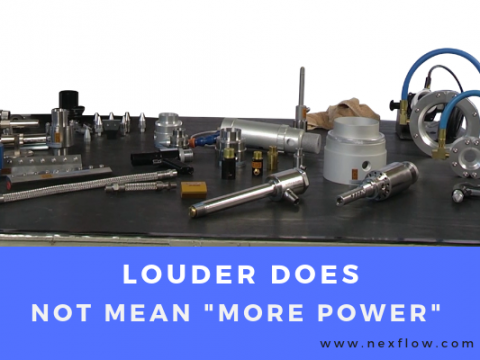 They are better air flow amplifiers than air nozzles but larger in size. Their most ideal application is for part ejection. 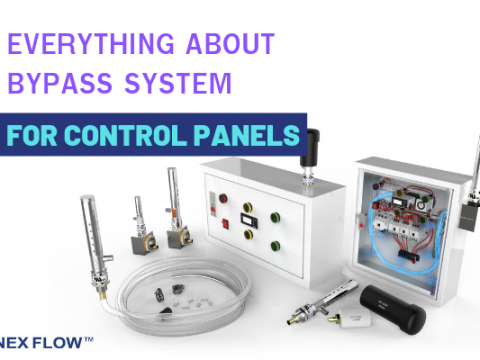 One of the advantages of Nex Flow™ Air Jets is the adjustable air gap which controls the flow and force. They are light weight and portable for easy installation and use. Air jets are available in anodized aluminum, brass and stainless steel. Because the air jets entrain air from the back through the center, they can also be used for venting from tight or small areas. The Nex Flow™ Air Edger™ is a flat jet nozzle which provides a strong, flat air blow off profile. The gap is controlled by shims which are interchangeable. The larger the shim, the greater the force provided. All air nozzles and air jets provide a laminar flow to give a strong blow off force and/or cooling effect at a distance from the product. They essentially convert pressure that would normally be lost as pressure drop and noise into useful flow. The result is not only energy reduction from 20% to 50% depending on the product but also a reduction in compressed air exhaust noise of up to 10 dBA. In addition, the dead end pressure of all the blow off products is under 30 PSI meeting OSHA safety standards for blow off. 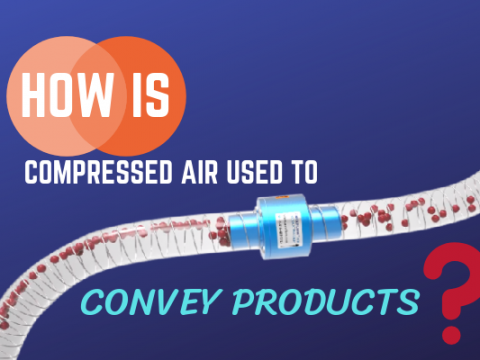 When using compressed air for blow off, the shape of the part, and speed of the part, the force needed and the nature of the application itself (cleaning, cooling, ejection, etc.) 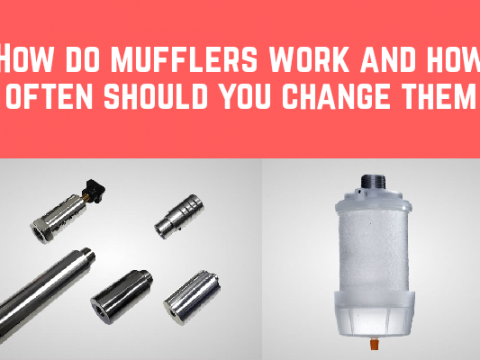 will determine which type of nozzle or jet needs to be used. 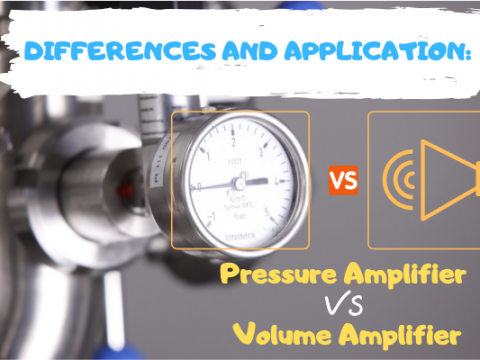 For some blow off applications it may be more appropriate to use larger annular air amplifiers (often called air movers) or an air knife which is a linear blow-off device which can be made from 2” to 54” in length. 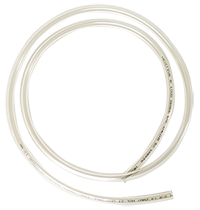 There is even a round version called an air wipe for cleaning and drying and cooling extruded parts – from ½” diameter to 11” in diameter. A great feature of air amplifiers and air amplifier technology is that they have no moving parts and if the air is kept clean, can basically last a lifetime. The profile on the air amplifier (whether it is a nozzle, or jet or larger standard unit or an air knife version) achieves this air amplification (which is really a conversion of pressure into useful flow instead of losing it in the form of pressure drop and noise) is generally a “coanda” profile which over time may get deposits forming on it. These deposits need to be cleaned off occasionally to keep the profile effective. Also, the compressed air should be filtered properly to remove moisture, oil and dirt. Our recommendation is to filter moisture to at least 10, or better yet, 5 micron and filter oil if any in the air lines to 0.3 micron. 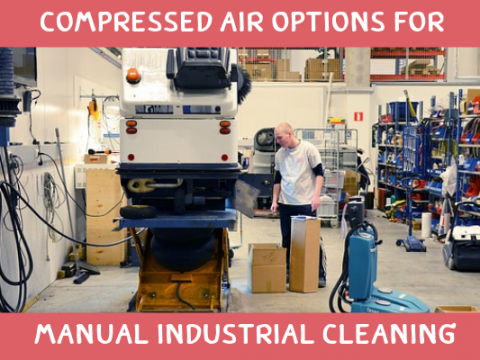 With proper filtration and cleaning of the coanda surface, air nozzles, jets, amplifiers, air knives and air wipes can work indefinitely. When using air amplification for cooling, you can cool to near ambient temperature only which is adequate for most applications. If the cooing requirement is such that you need to lower the temperature below ambient, you can add a hose or pipe to an annular air amplifier or to an air jet and draw in cooler air from outside of the area. However care must be made that the back pressure created by adding the attachment does not reduce the air amplification too much as these units are sensitive to back pressure. In this case the attached hose or pipe should be kept large in diameter and minimize the length and bends. 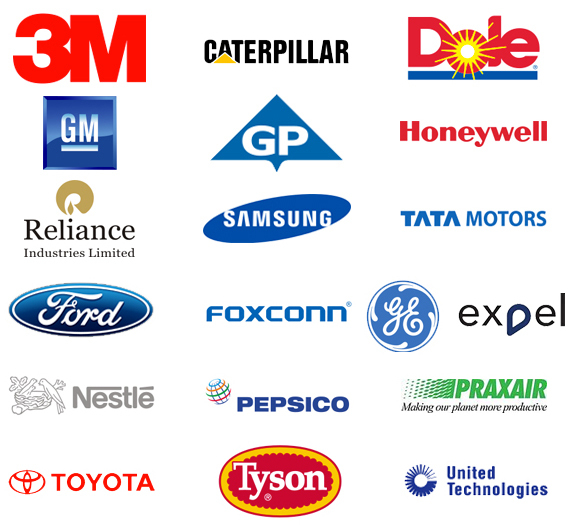 A big advantage of compressed air products of any type is that they can be turned on and off almost instantly. When they do not need to blow, clean, cool, or vent they can be easily shut off using sensors and turned on again when needed. On off operation can save a great deal of energy. Safety is a big feature with air amplification technology because no electricity is used. The concept of air amplification is sometimes abused. When you convert pressure to flow, you do get amplified output air flow. But claims from different manufacturers range from reasonable to the ridiculous. Recognize that when the flow is amplified, it is done so by drawing in “still” air from its surroundings. As that still air starts to move, overall velocity will slow down. The more you draw in (or amplify more), the less the velocity. So when claims are made that seem rather high in air amplification, make sure it is reasonable. 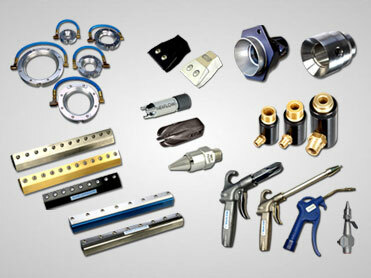 Air nozzles and air jets are selected by their air consumption and force produced but also by their flow profile. For example, it is important to have the flow profile on a row of nozzles to determine the pacing between the nozzles to assure full coverage of a blow off area. At the same time you do not want overlap as that will create turbulence. Nex Flow™ Air Products Corp. strives to inform, educate and improve factory operations related to compressed air use to improve productivity, optimize energy use and enhance safety in the work place. Click here to see air nozzles …..
Click here to see air jets …..
Click here to see flat air jet nozzles …..
Skontaktuj się z nami, aby poprosić o pomoc jednego z naszych konsultantów.